Contusions are bruises formed by a crush injury to a muscle. Technically contusions are a musculoskeletal injury and are second only to strains as the leading cause of sporting injuries. In lay persons terms they are called a bruise. There is damage to the muscle fibres which results in bleeding into the subcutaneous tissue and skin but the overlying skin remains intact. The bruising will often track inferiorly due to gravity and will sometimes only show further down (distally) from the injury site if the injured muscle is surrounded by overlying muscle. An example of this would be a hematoma around the ankle where the blood came from an injured muscle in the deep posterior compartment of the lower leg (calf) such as the Tibialis Posterior that is overlaid by the big muscles of the calf the Gastrocnemius and Soleus. Blood pooling distally around the ankle from a calf muscle contusion. If this bleeding is bad and occupies a large area it is called a Hematoma. This blood pooling will be quick, quicker than edema (swelling) from the inflammation process as it is supplied by blood under pressure from the arterial system. It will also be painful as the pressure of the blood usually contained within the fascial compartment of the muscle will compress nerve endings. Occasionally there can be a complication after a hematoma where the pooled blood then calcifies (forms bone) within the muscle. This can happen over a period of 10 days to 6 weeks where the Fibroblasts of the muscle are replaced by Osteoblasts that lay down new bone. Muscle strength will decrease, the area locally may inflame and spasm and a trip to your doctor will confirm this with an X-ray. Contusions are caused by a direct blow to the muscle. Contact sports such as football, rugby or hockey where they can be caused by an opponent or their equipment such as a stick or by a collision with a goal post for instance. Other common caused are car accidents or a fall outside of the sporting arena. Depending upon the severity of the impact contusions may be one of a number of injuries to the body and so often accompany fractures or dislocations. Mild Contusion: Minor crush with little bleeding where the person can continue activity with little loss of power but with mild discomfort. Moderate Contusion: Moderate crushing along with bleeding and swelling where the person has difficulty in continuing activity due to pain and muscle weakness. 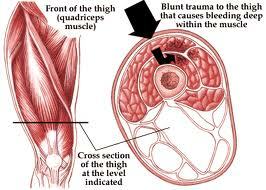 Severe Contusion: Severe crushing of the muscle tissue along with rapid bleeding and swelling. The perosn cannot continue activity due high levels of pain and muscle weakness. 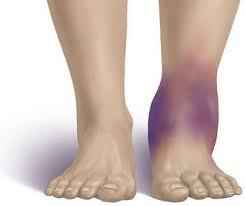 With all levels of contusion it is the first 24 hours after the impact that are most important. The bleeding must be controlled, stop any activity, apply ice to it, compress the area with elastic bandages etc and elevate the area if possible to get it above the level of the heart. This is called the RICE procedure for Rest, Ice, Compression and elevation and is good common practise for most mild to moderate injuries injuries. All severs injuries should of course be taken straight to a physician. In addition do not drink alcohol, do not stretch the area or massage the area. If the area is swelling rapidly and/or is very painful go straight to a doctor especially if there is anything that would slow blood clotting such as the person taking an anti coagulant such as Warfarin. Due to the nature of most contact sport and the area of the body one of the most common locations for a contusion is the Quadriceps muscle. 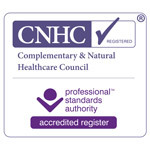 Initially no massage will be attempted directly on the area itself although, even in the acute stage once an assessment by a doctor has been performed if necessary, massage can be used to help reduce the edema and to work on unaffected areas that may be overused in compensation to the injury. An injury to the right leg will alter how you walk leading to overuse of the left leg for instance. 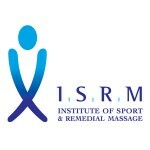 The therapist can also help with gentle work to maintain the range of movement to the joints either side of the injury. Later when direct work is allowed massage will be used to help to reduce the adhesions in the muscle and to realign the new developing connective tissue so that it forms a functional scar along the main direction of the muscle in question muscle fibres i.e. up and down the leg for the quadriceps muscles. The therapist will also help assess when and how you should resume stretching through the area to regain function. A very general guideline as to when to return to activity would be after 2-3 days with an elastic bandage for a mild contusion and one to several weeks once activity is pain free for a moderate to severe contusion.